Where was American Vandal filmed? Who drew the dicks? This was the 2017' Who Killed Laura Palmer. The new Netflix series is a true crime parody. The plot unfolds the mystery around the 27 penises that a morning appeared on 27 cars in the parking lot at Hanover High. 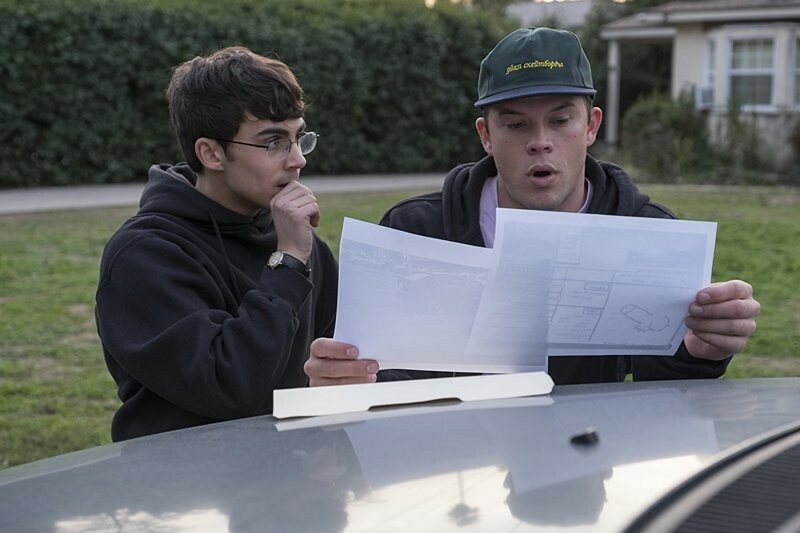 The cast features Jimmy Tatro as Dylan, accused of the act of public vandalism, investigated by the aspiring documentarian Peter (Tyler Alvarez). This eight-episode season also stars Griffin Gluck, Jessica Juarez, Camille Hyde, Lukas Gage and Eduardo Franco. 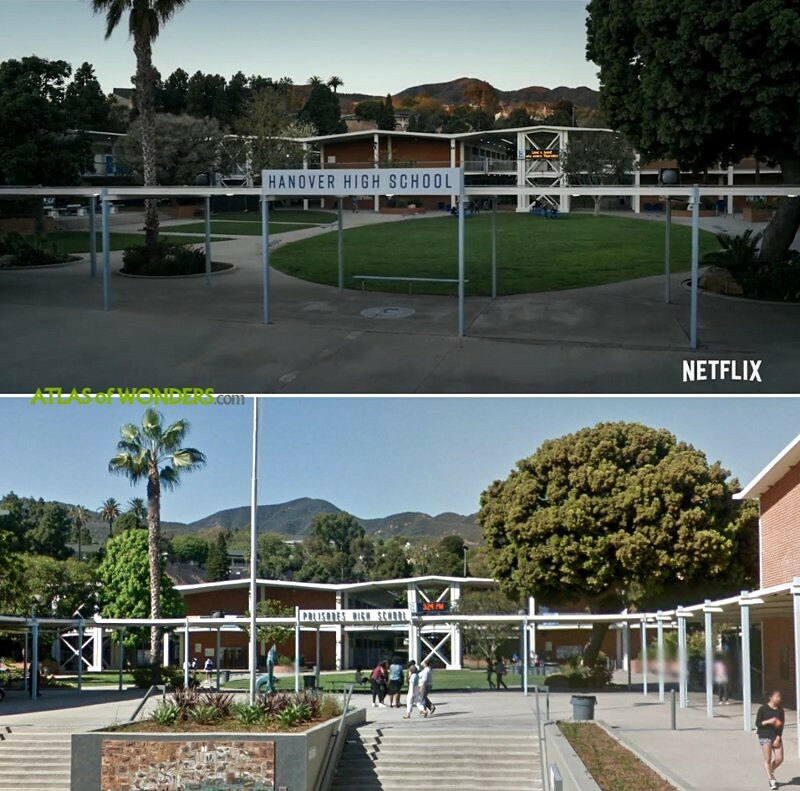 The fictional Hanover High School in Oceanside was filmed at Palisades Charter High School. 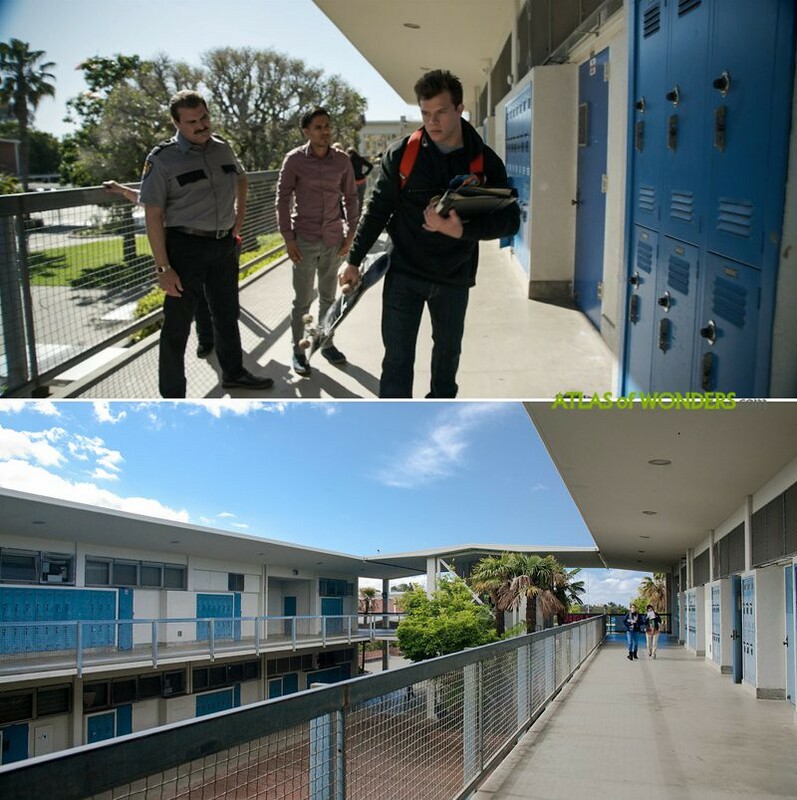 At first it seemed that Palisades High might have been used only for establishment shots and aerial views. However, we can confirm that the crew was filming on the campus. 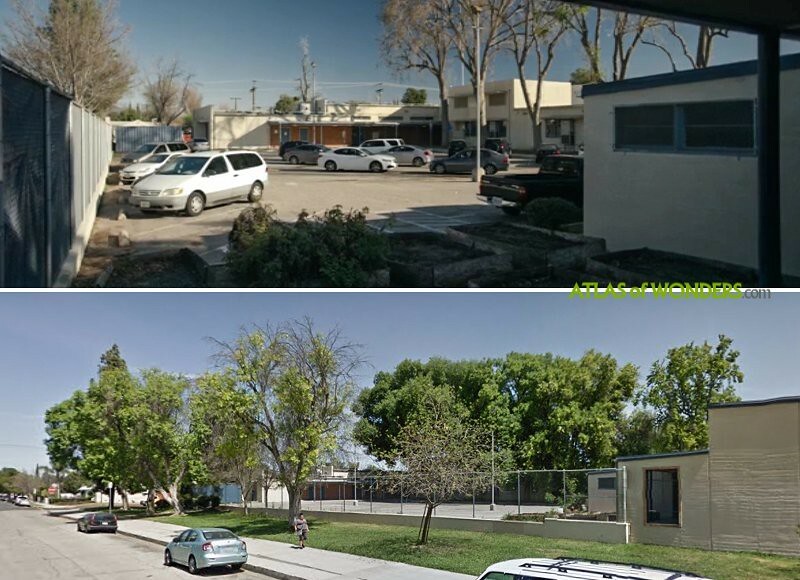 The infamous parking lot is from Reseda High School in Los Angeles. 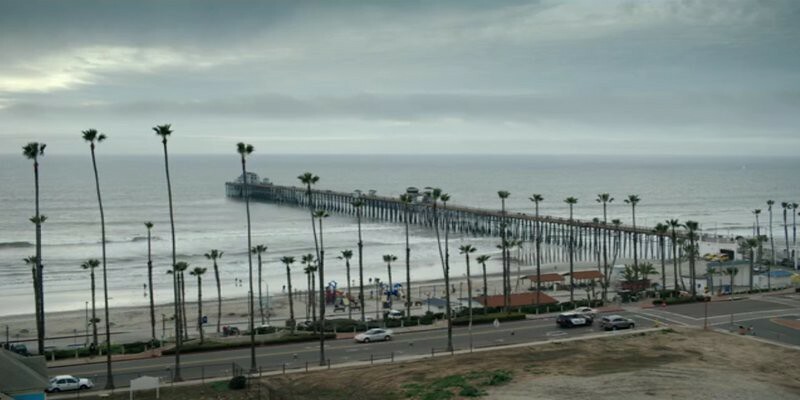 The series feature views of Oceanside Pier and several streets downtown. Season 2 takes place in St. Bernardine Catholic School in Bellevue, Washington. The exterior filming locations for the building pictured was a mystery until one of our friends unveiled it: Marylhurst University in Lake Oswego, Oregon (Map). According to IMDb American Vandal S2 was also filmed in Mt. Hood Community College and Oregon City High School, both in Portland. Can you help to improve this article about the filming locations for American Vandal Season 2? To complete and correct this report, any feedback, info or images that you may have are more than welcome, thank you! The parking lot is at Reseda High School. "Dad Pantsing" YouTube video was filmed at Del Rey Lagoon playground in Playa Del Rey.